Actor Kirk Douglas brought his formidable chin and talent to movies such as Spartacus and The Bad and the Beautiful. You may also know him as the father of Michael Douglas. 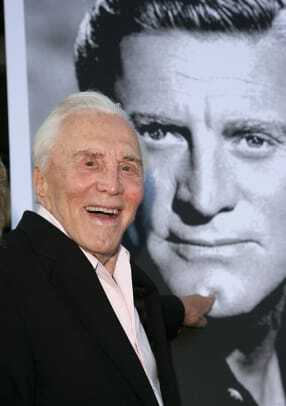 Born Issur Danielovitch on December 9, 1916, Kirk Douglas is the son of poor, Russian-Jewish immigrants. 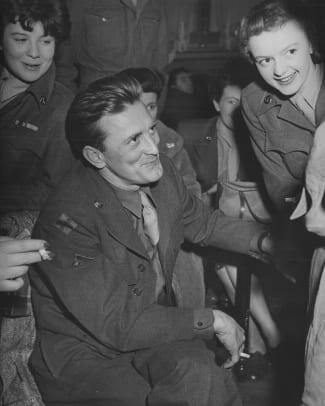 After stints in the U.S. Navy and on Broadway, Douglas broke into the movies with The Strange Love of Martha Ivers. He went on to critical acclaim in such films as 1952&apos;s The Bad and the Beautiful and 1956&apos;s Lust for Life. One of his biggest hits was 1960&apos;s Spartacus. 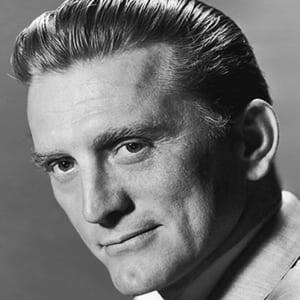 Born Issur Danielovitch on December 9, 1916 in Amsterdam, New York, actor Kirk Douglas is known for his distinctive voice, strapping physique and cleft chin. The son of Russian-Jewish immigrants, Douglas grew up poor. 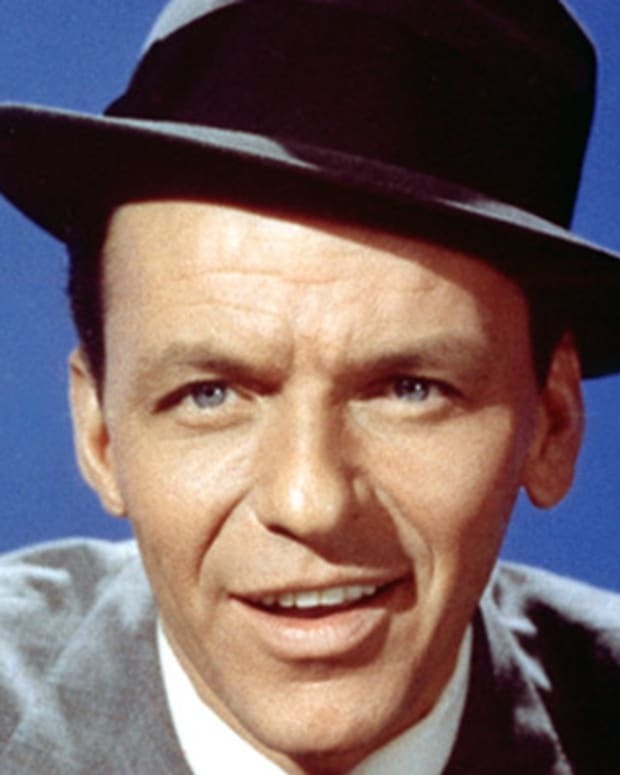 He worked odd jobs to pay for his college education, and to support himself while studying acting at the American Academy of Dramatic Arts. At that time, he had no idea what his future had in store: In 1950s and &apos;60s, Douglas was one of the most popular leading men in cinema. 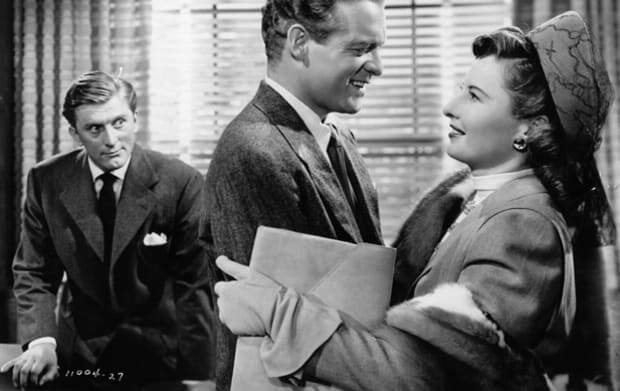 After serving in the U.S. Navy during World War II—and a brief career on the Broadway stage—Douglas made his first Hollywood film, The Strange Love of Martha Ivers (1946), starring with Barbara Stanwyck. Three years later, he gave a breakthrough performance as a boxer who stops at nothing to make it to the top in Champion (1949). He amazed audiences and critics alike with his portrayal of Midge Kelly in the film, which earned him his first Academy Award nomination. A sought-after actor, Douglas worked with many leading directors, including Billy Wilder for 1951&apos;s Ace in the Hole. However, it was his work with Vincente Minnelli that led to two of his greatest performances: morally bankrupt movie executive Jonathan Shields in The Bad and the Beautiful (1952), and troubled artist Vincent van Gogh in Lust for Life (1956). Douglas earned an Academy Award nomination for each of those films. In addition to his critical acclaim, Douglas became a big box-office draw. Over the years, he often appeared with his friend and fellow Hollywood heavyweight, Burt Lancaster, in such films as Gunfight at the O.K. Corral (1957), a western drama, The Devil&apos;s Disciple (1959) and Seven Days in May (1964). Working with director Stanley Kubrick, he also starred in the World War I drama Paths of Glory (1957) and Spartacus (1960). Douglas&apos;s work in Spartacus as a Roman slave (the film&apos;s title character) who leads an uprising is considered to be one of his signature roles. 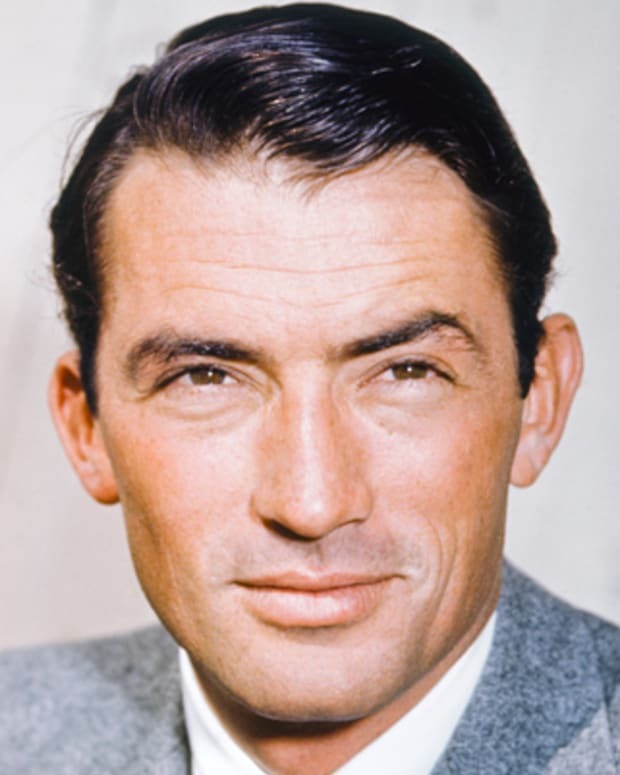 In making Spartacus, Douglas also challenged the practice of blacklisting certain Hollywood figures over their possible communist leanings. 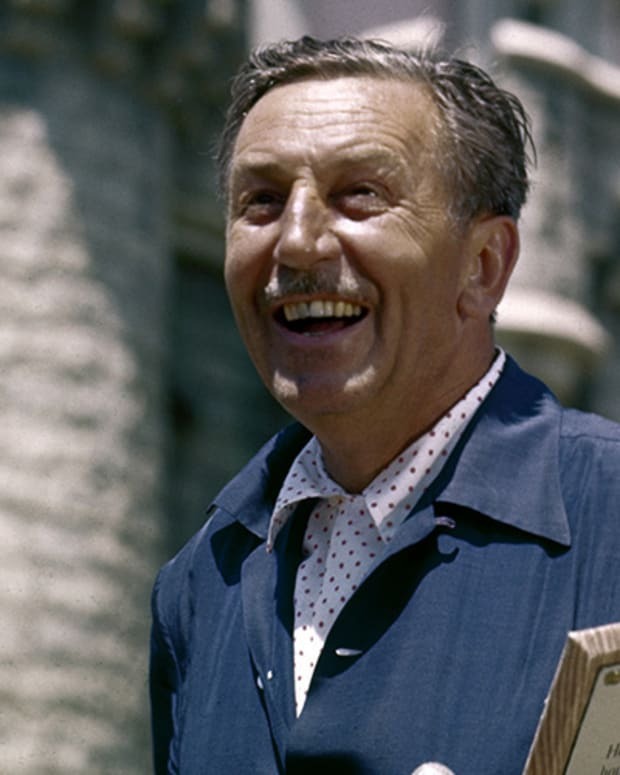 He hired blacklisted screenwriter Dalton Trumbo to write Spartacus. 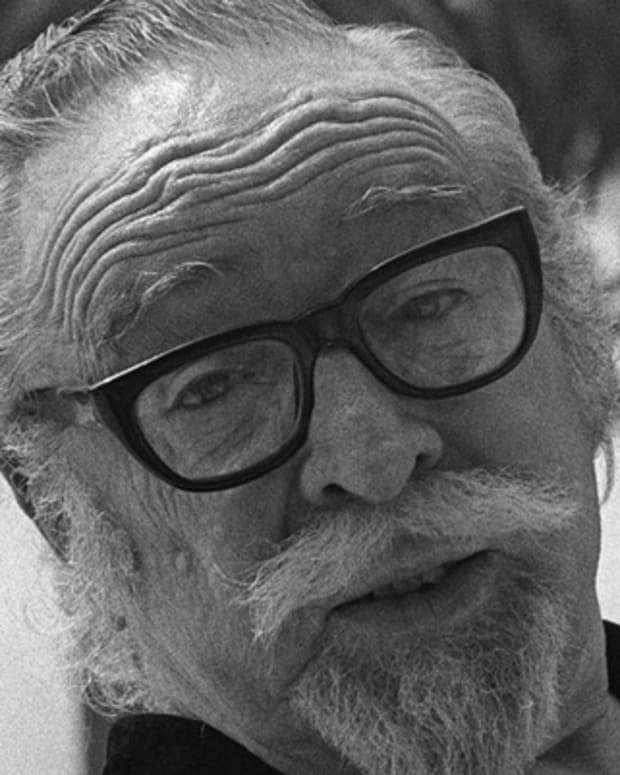 Trumbo turned out a number of screenplays under various pseudonyms but was later given full credit for his work. 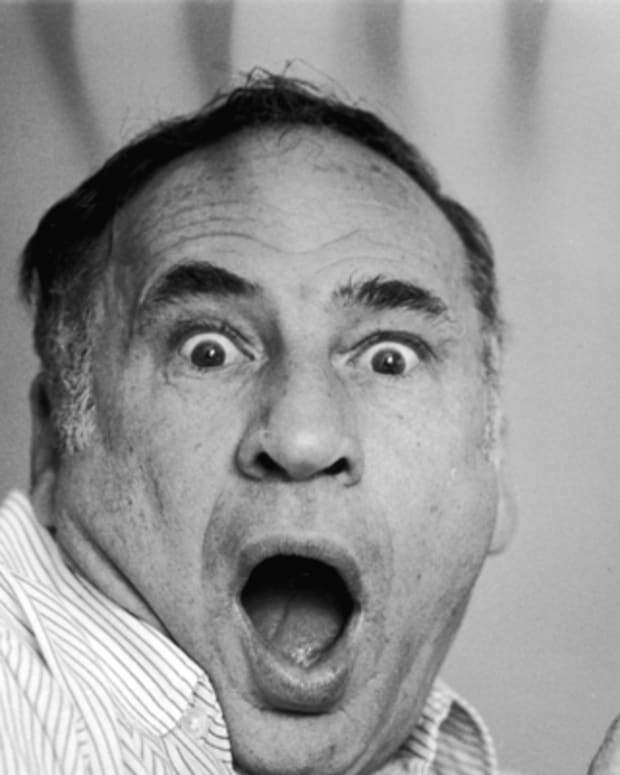 In the 1970s, Douglas tried his hand at directing, but met with little success. Two of his directorial efforts that decade, Scalawag (1973) and Posse (1975), failed to make much of an impression on movie-goers. Around the same time, his acting career stalled. His later and more memorable films include The Man from Snowy River (1982) and Tough Guys (1986), which was his last on-screen reunion with Lancaster. While one phase of Douglas&apos;s life was slowing down, another was just beginning. In 1988, he shared his life story in the best-selling autobiography, The Ragman&apos;s Son. He also showed a talent for fiction writing, producing such works as Dance with the Devil (1990) and The Gift (1992). One of his nonfiction works, Climbing the Mountain: My Search for Meaning (1997), was published shortly after Douglas experienced a nearly fatal stroke in 1995. He followed that up with My Stroke of Luck in 2003. Clearly determined not to be daunted by personal setbacks, Douglas did not let his stroke slow him down for long. 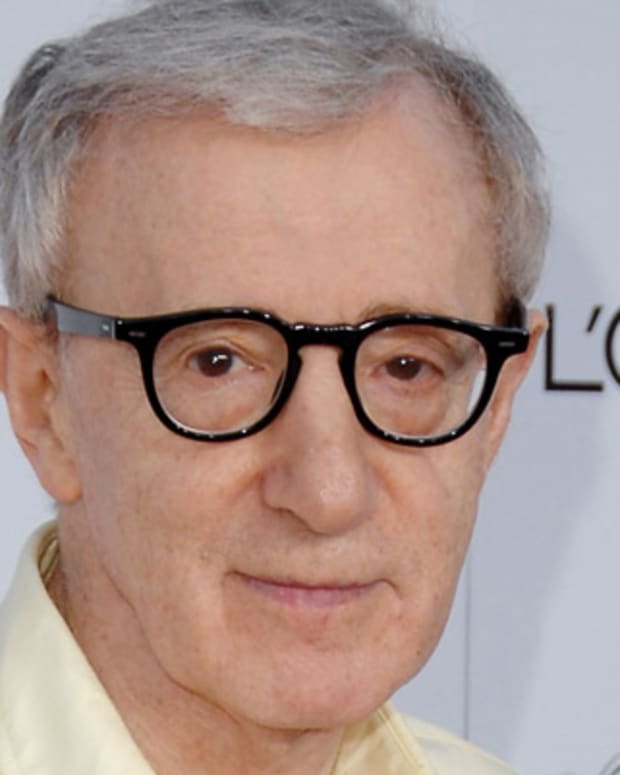 Though the incident had affected his speech, he continued to act, starring in the 1999 comedy Diamonds, along with Dan Aykroyd, Lauren Bacall and Jenny McCarthy. He was also nominated for an Emmy Award for a guest appearance on the inspirational television drama Touched by an Angel in 2000. 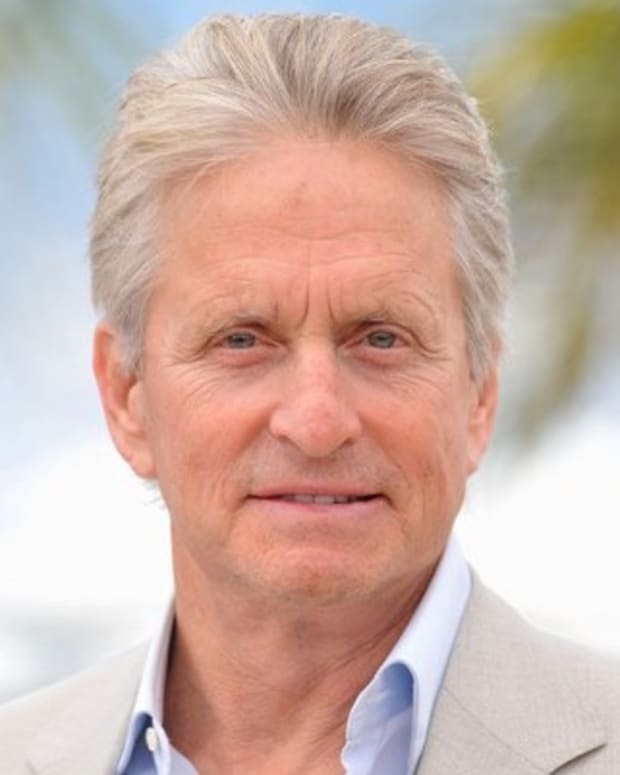 A few years later, he co-starred with son Michael Douglas in the drama It Runs in the Family (2003). Douglas has continued to write biographical works in recent years, including Let&apos;s Face It: 90 Years of Living, Loving, and Learning (2007). More recently, he delved into the backstory of one of his most famous roles, with 2012&apos;s I am Spartacus! The Making of a Film, Breaking the Blacklist for which George Clooney wrote the foreward. In 2009, Douglas mounted a one-man show on stage, sharing his 60 years of filmmaking and personal life with theater-goers in Before I Forget. He won raves for his performance, including praise from Variety for his "uncensored candor." The Hollywood Reporter called the show a "remarkable display of courage" by Douglas, adding that his performance was reminiscent of the time "when giants strode through Hollywood." Douglas also got a chance to see some of his own life story hit the big screen. Dean O&apos;Gorman played Douglas in Trumbo, the 2015 biopic of blacklisted screenwriter Dalton Trumbo. Douglas had helped resurrect Trumbo&apos;s career by hiring the then-blacklisted writer to pen the script for Spartacus. Douglas told Interview magazine that "I&apos;m proud of using his name and breaking the blacklist. That was a terrible time in Hollywood history. It should never have happened." Douglas has also devoted much of his life to philanthropic work. Through the Douglas Foundation, he and his second wife Anne have given away millions to numerous worthy causes. Recent donations include $2.3 million to Children&apos;s Hospital Los Angeles for a surgical robot and the endowment of the Kirk Douglas Fellowship at the American Film Institute. In October 2015, the couple also gave another $5 million to the Los Angeles Mission’s women’s center, boosting their support of the mission to $15 million over the last three years. In 2015, Douglas told The Hollywood Reporter that his commitment to charity began in his childhood. He watched his mother give away food to others in need even when the family didn&apos;t have enough for themselves. "My mother said to me, &apos;You must take care of other people.&apos; That stayed with me." 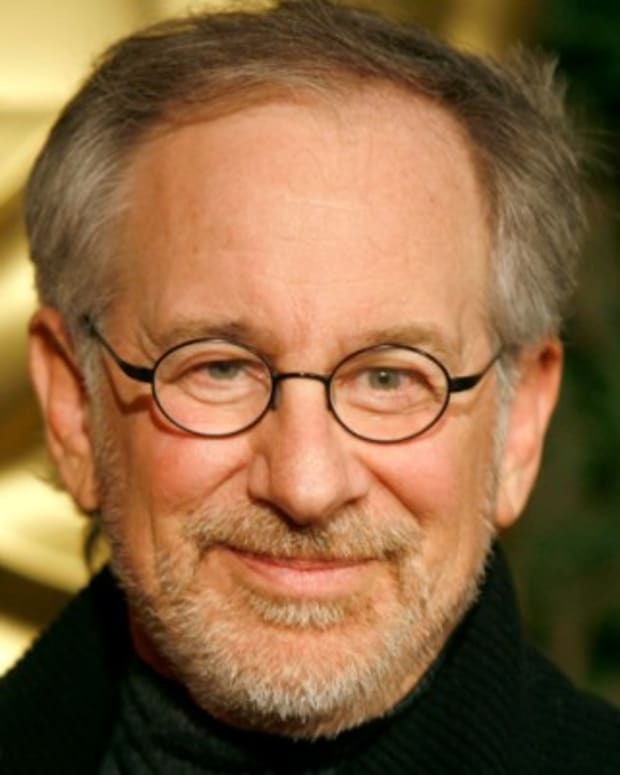 Throughout his distinguished career, Douglas has received many honors, including the Life Achievement Award from the American Film Institute in 1991. 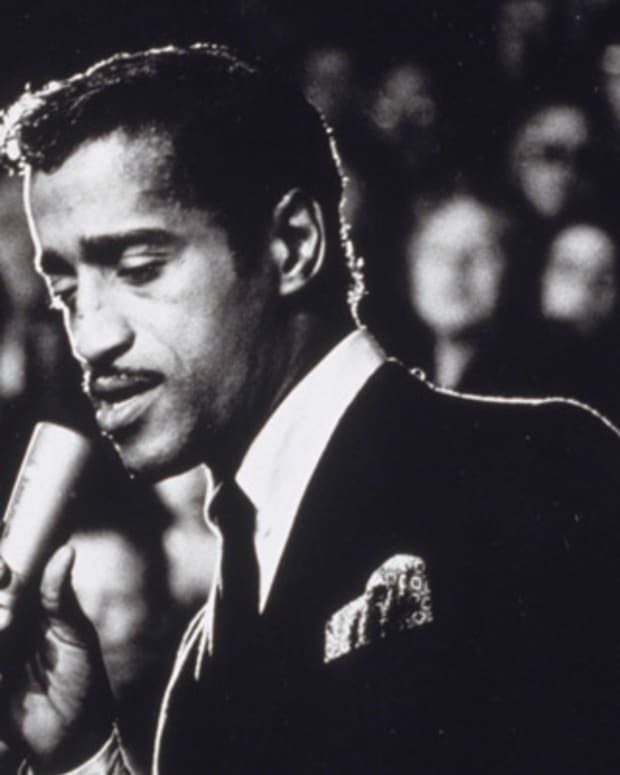 He also became a Kennedy Center honoree in 1994, received an honorary Academy Award in 1996, and received the National Medal of Arts in 2001. Married twice, Douglas had two sons, Joel and Michael, with his first wife, Diana Dill. In 1954, he married Anne Buydens. The couple had two sons, Peter and Eric. Eric died of a drug overdose in 2004.